Categories: certainty of love, life up here, poetry, shortlings | Tags: alive, dance, heat, poetry, shortling, sun | Permalink. 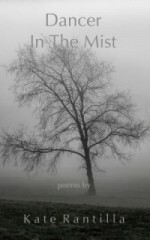 Categories: life up here, poetry | Tags: moonstone dust, nature, poetry, spring, sun | Permalink. all the glimmers due us? this ornament was a gift brought by my sister from New Zealand. it always catches light. Categories: creativity, nature, poetry | Tags: diffusion, faith, light, sun | Permalink.